Ingrid Siliakus’ beautiful Second Chamber House Pop-Up Paper Sculpture is a representation of one of the houses of Parliament in The Hague. The Second Chamber is one of the houses of Parliament in The Hague. 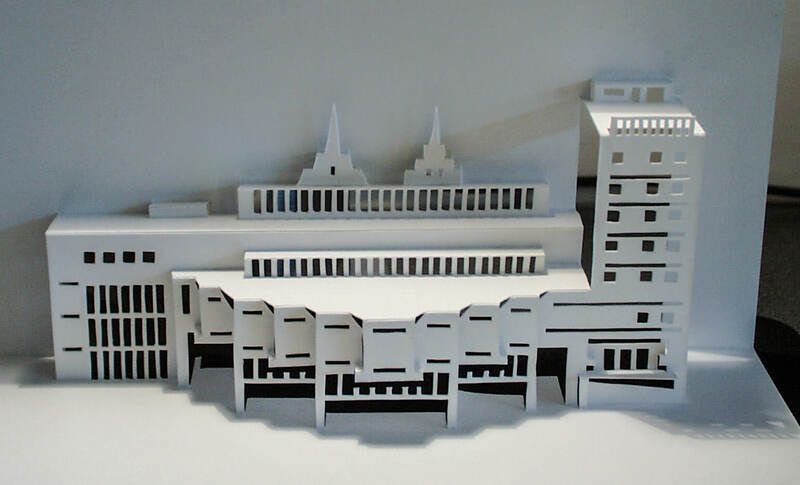 Origamic architect Ingrid Siliakus has captured the building in paper. You can find additional information about the houses of Parliament, along with the pattern, in Ingrid’s book, Origamic Architecture from Building to Card (available here). These pieces are beautifully laser-cut and hand-scored, folded, and assembled. Folded flat, they measure approximately 21 by 15 centimeters. Designed, handmade and signed by Ingrid Siliakus. Perfect for a birthday or any occasion, this abstract pop up gift card is an impressive example of origamic architecture.